For Cubans, food is a complex story—a tapestry of love and loss woven so deeply into their culture that it goes well beyond that of history or sustenance. Gershman, who’s love affair with Cuba began long before her first visit, takes you along on a photojournalistic journey through the streets of Cuba and its paladares through her stunning photographs of the country’s glorious sights, the lively people, and, of course, the amazing variety of food. "I love cookbooks—and I love them even more when they go beyond the food to include the culture that creates the cuisine, particularly when it’s somewhere as exotic as Cuba. Liza Gershman has masterfully captured the color and excitement of Cuba in her photographs as skillfully as she captured the mouthwatering food. During the first decades of the revolution, the Cuban dining scene left much to be desired. Basic ingredients were difficult to find, supplies were rationed, and the quality was at best mediocre. However, in recent years the proliferation of private restaurants, paladares, has transformed the way people eat. Liza Gershman has got to the soul of Cuba through its food. Cuban Flavor is the next best thing to hopping on a plane to Havana." "Much more than a just another ethnic regional cookbook, Cuban Flavor is an introduction to a revolutionary era of Cuban cuisine that ranges from the succulent spiced meat of the national Ropa Viejo, simmered in a tomato-based criollo sauce; to the sweet and sticky Arroz Con Leche; or the local favorite, Flan served in a soda can. 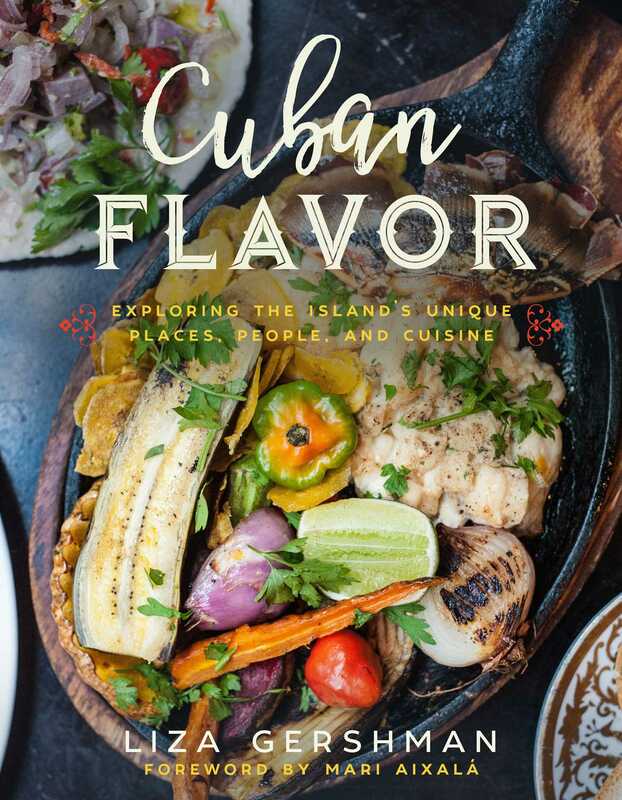 Cuban cuisine has something for every palate and this visually arresting culinary compendium showcases more than fifty Cuban recipes, from appetizers to main courses and drinks to desserts. An impressive and thoroughly 'kitchen cook friendly' collection of authentic, palate pleasing, appetite satisfying Cuban dishes suitable for any and all dining occasions, Cuban Flavor is an especially and unreservedly recommended addition to personal, professional, and community library cookbook collections."